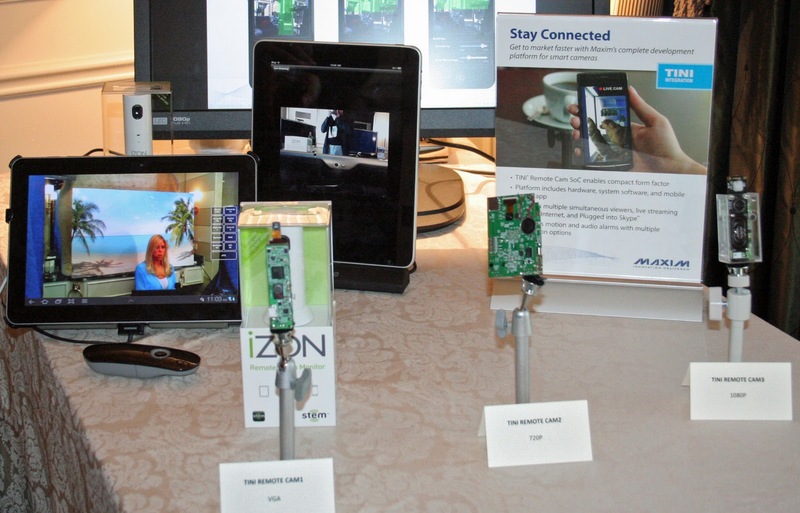 The hype from semiconductor companies eager to promote their solutions for next-generation WiFi, or IEEE 802.11ac, began last year well before the 2012 International Consumer Electronics Show (CES). At CES, we had the opportunity to see some of these Gigabit wireless LAN chips in action, but not all WiFi vendors were focused on the speed war. 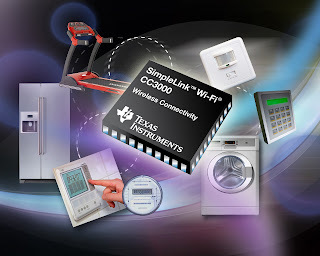 Texas Instruments provided a preview of their SimpleLink Wi-Fi CC3000, a modular solution that integrates a self-contained 802.11 b/g network processor. David Lacinski, Marketing Director for Mobility Connectivity Solutions at TI, says the CC3000 enables wireless connectivity to be easily added to any embedded system, by linking over a Serial Peripheral Interface (SPI) with a low-cost microcontroller (MCU), without the need for an operating system. In TI's demo room at CES, the company showed the module attached to a slow cooker, which was being monitored remotely over the internet by an engineer in Canada. Lacinski demonstrated TI’s FirstTimeConfig technology, which enabled the CC3000 module to be connected to an 802.11 access point without the need of a display or user interface, or entering a WEP key. 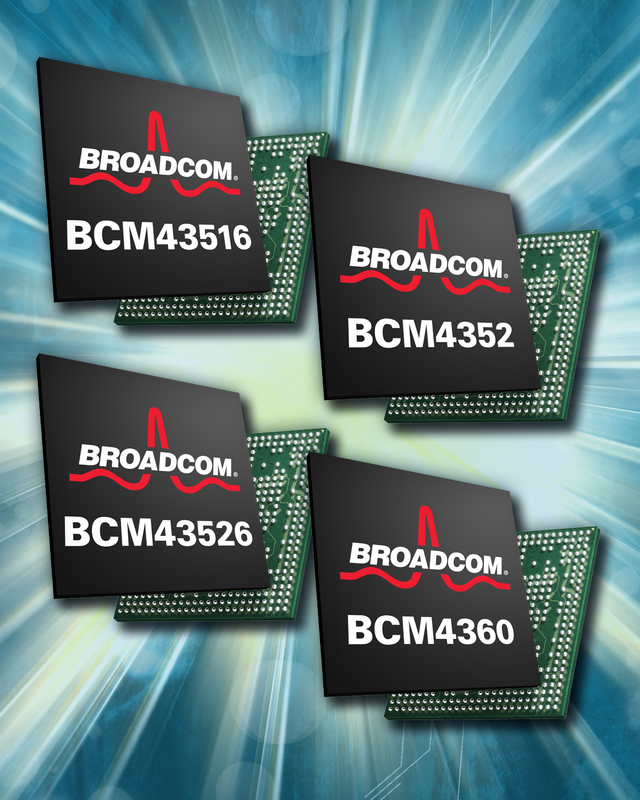 BCM4352 and BCM43526, which implements 2-stream 802.11ac with speeds up to 867 Mbps. 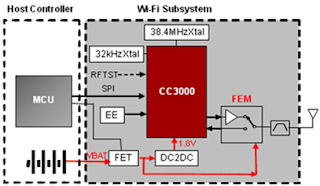 The BCM4352 provides a PCIe interface, while the BCM43526 supports the USB interface. 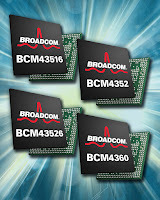 Broadcom specifies the single-stream BCM43516 for speeds of up to 433 Mbps, with a USB interface. Quantenna (e.g. 4 antennae), a WiFi chip startup in Fremont CA, used their CES demo suite to show the robustness of their 4x4 MIMO solution for 802.11n and 802.11ac. David Cohen, Sr. Director of Marketing at Quantenna, refuted some of the hype surrounding 802.11ac, saying that a well-designed 4x4 MIMO system with 802.11n is just as capable of drop-out free streaming of HD video. Downplaying the significance of 802.11ac, which Quantenna has previously announced, he says that much of the value of the 802.11ac designation is that it gives retailers another letter or number to put on the box to attract consumers. The key to WiFi performance, says Cohen, is not so much the wider channel bandwidth as the use of multiple antennas and beamforming. To prove their point at CES, Quantenna had an HD movie continuously streaming to a widescreen flat panel TV in one room, connected the the WiFi router in another room. To further emphasize how well this can work, Cohen shared the video here, which was uploaded to YouTube by Verizon. 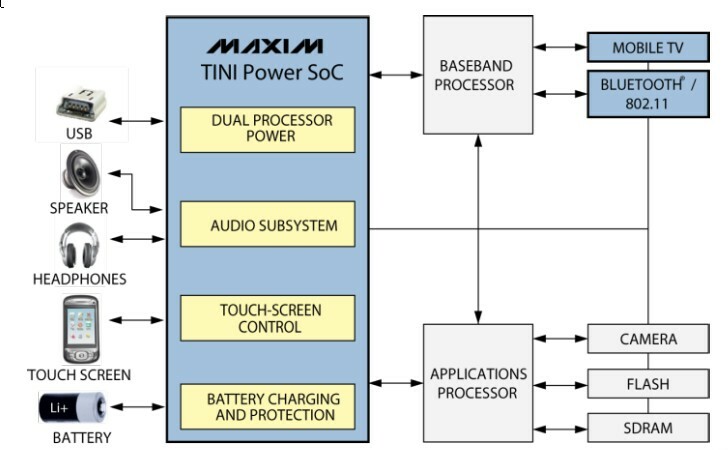 Maxim Integrated Products provided a set of demonstrations at CES, focused primarily on applications of their new TINI SoCs, including the MAX11871 Touch Screen Controller, and the MAX64180 for remote WiFi connected cameras. The latter SoC has been incorporated in iZON cameras, which are designed as iOS accessories that you can monitor from your iPhone or iPad tablet. by scanning a QR code that is generated in an iOS app. The iZON cameras are included here, since they provide a different take on ease of installation for comparison with TI’s FirstTimeConfig technology. With iZON, to add a camera to your 802.11 access point a user must generate a QR code for each device. The iOS app embeds the WiFi access key information in the QR code, and by pointing the camera at the smartphone or tablet screen the device is instantly connected.